There is an exciting addition coming to Patch 7.3, the Netherlight Crucible. We wanted to give a quick breakdown of what it is and how you will use it. 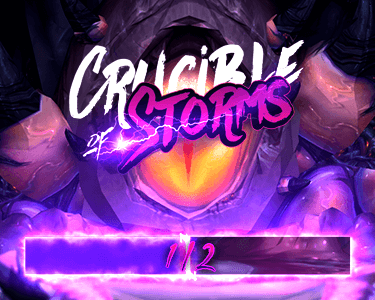 The Netherlight Crucible is a new way to progress and add power to your weapon using relics. Socketed relics will allow you to pick traits that increase your artifact weapons power in unique ways based on the traits you choose and the path you decide to take. While the trait choices for each relic are essentially RNG, ones you choose of said RNG options are entirely up to you. You will unlock the Netherlight Crucible in week 3 when the 3rd and final chapter of Argus up and is complete. Once you have unlocked the crucible, you get the achievement - “Now You’re Cooking with Netherlight.” This unlocks the Netherlight Crucible account wide. You will have 3 tiers. The first tier will be available when you unlock the crucible. This 1st tier trait will give a 5 ilvl increase to your weapon. With all 3 relics having their 1st tier trait selected, this will give you a 15 ilvl increase overall for your weapon. The 2nd tier offers two choices, depending on if you want to take the shadow path or the light path. These passive traits offer various stat increases and proc options. These will randomly generate from a pool of 6 different options from each side. The 3rd tier focuses on empowering particular weapon traits by adding another rank to that specific trait. For The 3rd tier, you will be able to choose the middle trait regardless of what path you chose in the previous tier as this is a neutral trait. When you unlock the crucible you will be able to gain the first trait of each of your current socked relics right away. Whether or not you can select tier 2 and 3, depends on your the artifact weapon level at the time you unlock it. Looking ahead you will want to select either the left side which is shadow or the right side which is light. You will want to have the last tier in mind when choosing tier 2. Something to note, there is a legendary called Insignia of the Grand Army. This legendary will be available in patch 7.3.5 via a reward from the raid quest, The Death of a Titan. This legendary increases the effects of Light and Shadow powers granted by the Netherlight Crucible by 50%. I have outlined the above and the UI in a quick video so that you can be ready to go when you unlock the Netherlight Crucible. If you have any questions, please feel free to comment below.